8 Uses of Avocado for Healthier and Glowing Skin – Avocado has been labeled a superfood by many nutritionists lately because of the myriad of benefits it imparts to your body. You would be pleased to know that avocado is every bit as excellent for your skin as it is for the rest of your body. And there is so much you can do with it, you can add avocados to your homemade facemasks, you can blend it with some other ingredients to make a really effective cleanser, or you can just mash it up and apply it on your face raw. In fact, eating avocados regularly also has a positive effect on your skin. Avocados are excellent as moisturizing agents. They contain an abundance of oleic acid which is known for keeping the skin firm and hydrated. Eating avocados every day is actually great for helping your skin secrete essential oils that can keep your skin soft and hydrated for a long time. But you don’t even have to consume the avocado to reap this benefit, you can simply mash it and rub it on your face to keep your skin nicely moisturized as well. For the best moisturizing effects though, you should make a facemask using avocados, honey, and yogurt. Apply it on your face, let it sit till it dries, and then wash it off with warm water. Avocadoes have a hidden gem inside them in the form of inactive vitamin A. When you combine avocados with other fruits like tomatoes and then eat them, the inactive vitamin A become activated. Activated vitamin A, also known as retinol, is an excellent substance that gives you smooth and glowing skin. Again, you can consume a meal containing avocados and tomatoes together or you can simply make a facemask by blending the two foods and apply it directly to your skin. One of the best benefits of avocadoes includes their anti-aging properties. 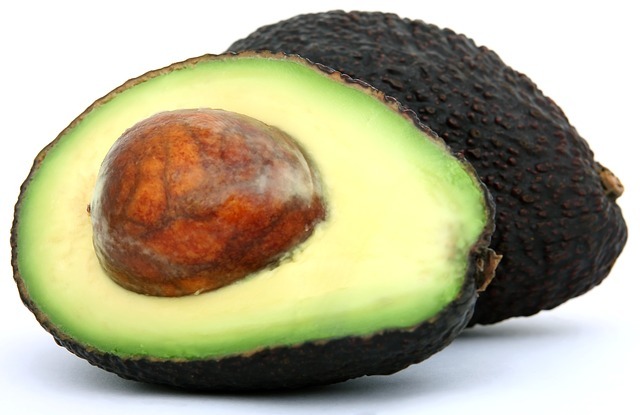 Avocadoes have a number of agents that can help your skin look young and healthy. First and foremost are the antioxidants. Avocadoes are chock full of antioxidants like vitamin C.
These antioxidants are used to fight the free radicals that enhance the fine lines and blemishes on your face, thus making you look younger and more beautiful. Other than antioxidants, avocados also help in building collagen in the skin, making it more elastic and firm which reduces the appearance of wrinkles on your face. You can make a cleanser that stands on par with the best acne cleansers using avocados, lemons, and egg whites. Egg whites help firm the face, lemons are excellent for removing acne by reducing inflammation and killing bacteria but both these ingredients together can prove to be too drying for most people. But they are great if you want to get rid of oily skin as well. This is why we can add some avocado to the mix and make an acne cleanser that can effectively remove pimples, prevent breakouts, while keeping your skin soft, smooth, and glowing. We all love a nice, natural sun-tan but we cannot control the sun, so sometimes we end up getting more tanned than we hoped, or worse, we end up sitting in the sun too long and get burned. Sunburns and tans do not take place immediately, so you can easily go home and apply some avocado to your skin to prevent the tan or burn from taking place at all. Avocadoes are able to do this because of their antioxidant properties which can inhibit the production of melanin, the tanning compound in our skin. There are many skin conditions that can be fixed using the moisturizing properties of avocado. This includes eczema, psoriasis, and even simply dandruff. Eczema and psoriasis both result in dry skin which is extremely itchy and irritable. Skin with these conditions is also very sensitive and reacts to even the smallest bit of stimuli. Avocadoes can really help in soothing the skin when it is ridden with these conditions thanks to its moisturizing properties. Again, you can simply consume the avocado or run it on the affected areas of the skin to reap the benefits! The collagen-building properties of avocados can also be used to get rid of small scars from wounds and acne scars as well. Studies have also shown that applying avocado on your skin actually promotes the production of new skin cells which can help your skin heal faster. You can make a very effective exfoliator using avocados and rolled oats. Simply mix the two together and rub it on your skin for 30-60 seconds. Wash it off and watch your skin glow! Repeat this process twice a week. Emma Hanson is a mother of two, a skincare freak and an avid reader. She loves trying out new products and treatments for healthy and glowing skin. She shares her knowledge and experience by writing regularly on her blog. She is one of the co-founders of clear away acne. Avocado is a natural way to get a glowing and youthful skin. I used it which helps to reduce finelines and wrinkles. It keeps skin soft, smooth, plump and hydrated.